Winter Bathroom Sale – Extended! Our Winter Sale over Christmas 2015 and New Year 2016 was hugely popular, with lots of our customers; new and seasoned regulars, making great savings on coveted branded bathroom goods through our website. Don’t despair if you missed out on the January offers, we are extending some of these great savings into February. As such, a selection of brands are still at an additional 5% off normal web prices. This is a really great chance to snap up those branded goods and make decent savings on items that will be increasing in price in 2016; as manufacturers will eventually introduce their annual price increases. We wanted to showcase some of our favourite Sale items to give you an idea of which products are on offer. Imperial Bathrooms are a quintessential British bathroom manufacturer. All their ceramics are hand finished in the UK to the highest quality. Perfect for: Anyone looking for a traditional bathroom with unrivaled attention to detail. Burlington is a fantastic Traditional styled brand, bringing together the most elegant and rich styling from decades gone by with the most up to date materials and technology available today. Perfect for: Those who want the traditional look but the reliability and water saving features of a contemporary WC. 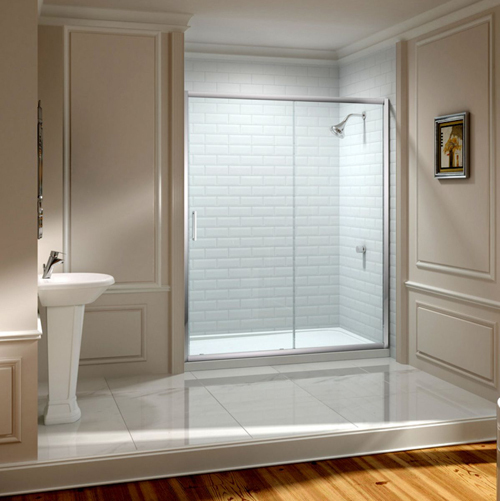 Shower enclosures can be a tough decision. At one extreme you have design led manufacturers who can be eye wateringly expensive, or you can have an unbranded shower; which whilst cheap runs the risk of leaking (which we don’t sell). Simpsons is a great manufacturer, who are proud to offer lifetime guarantees and competitive prices. 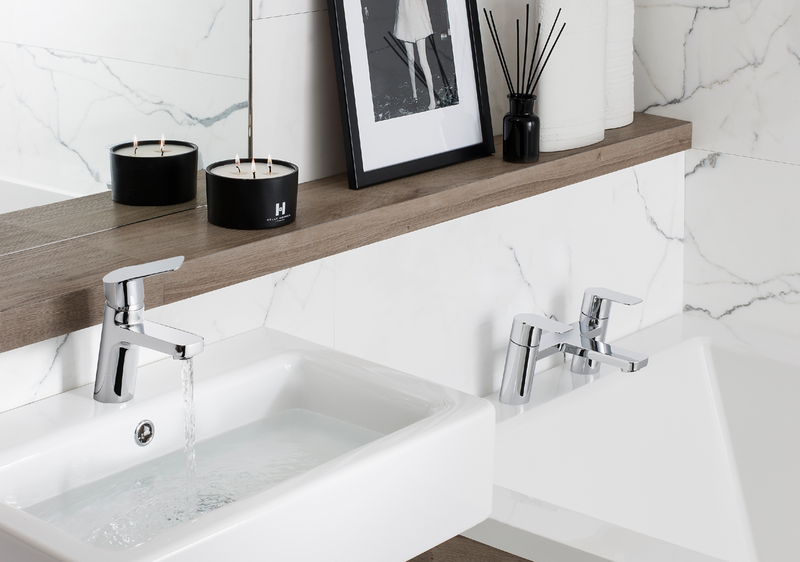 Hansgrohe is synonymous with reliability. Powered by its revolutionary iBox the Ecostat is a plumbers dream to fit and by far our most popular shower valve. German Design Giants Villeroy and Boch offer this ever popular close coupled toilet suite from their established Subway range, a favourite with architects and designers. With the full Subway range you can mix and match complimentary products to create a well put together bathroom suite. This is just our perspective; let us know in the comments what your top 5 would be. Armitage Shanks, along with its parent company Ideal Standard have launched a new charity aiming to raise £200,000 to celebrate its 200 year anniversary in 2017. The ‘Armitage Thanks’ campaign marks the run up to the company’s incredible 200 year anniversary and aims to support the local communities with a range of fundraising events and tasks. 40% of the money raised in the new initiative will be donated to Bowel and Cancer research, after being nominated by the firm’s staff members. The remainder of the money will go to local charities overseen by The Smile Foundation. Armitage Shanks was founded in 1817 by Thomas Bond and has become one of the most successful sanitary pottery manufacturers in the world. In 1969 Armitage merged with competitor Shanks Holdings and created the iconic brand that we see today. Armitage Shanks is now owned by the Ideal Standard International group who is helping with the charity campaign. Armitage Shanks employs over 300 people at its 4-acre manufacturing site and produces over 1.4 million pieces each year, including sanitary ware, bathroom fixtures and plumbing supplies. Adding, “The bicentenary is truly an historic milestone for us and we are very proud, so we are going to mark it by saying a big ‘Armitage Thanks’ for supporting us over the last 200 years. Employees of Armitage Shanks and Ideal Standard are already setting up an array of charity event including a team to take up the National Three Peaks Challenge, quiz nights and coffee mornings. Over 200 guests joined Ideal Standard as it unveiled its Tonic II range in London last week. Designed by the award winning German design studio Artefakt, the range consists of ceramics, baths, furniture and fittings. The range was unveiled at London’s iconic OXO Tower, where the products were shown in crisp white rooms with understated chandelier lighting and against the backdrop of the Thames River. The set was reminiscent of a modern art installation with the Tonic II range dominating view with its bold and contemporary design. The reaction to the Tonic II range has been largely positive and has created a lot of excitement throughout the industry. The soft geometric design of the products was created to evoke calm and tranquillity. The new range offers a broad choice of sizes and furniture combinations, in a range of stylish colours to suit just about any bathroom. The launch event also saw the introduction of Ideal Standard’s innovative new AquaBlade flush technology. The pioneering design means that the integrated channel creates a pressurised blade of water that flows from the top of the bowl rinsing the whole area clean. This new technology is set to revolutionise the toilet market, because unlike standard toilet flushing systems, the AquaBlade creates an even spread of water across the whole surface are. Set to revolutionise the toilet market, unlike existing flushing systems where water does not cover the entire toilet bowl, AquaBlade technology gives optimum water flow from the top of the bowl on every flush, and covers every inch of the ceramic. Interior surfaces are also streamlined to give a quieter flush. Anna Burns, from Ideal standard told the press, “We’re delighted – the response has been amazing and we thank everyone who came along on the day. For more information about the Tonic II range or the AquaBlade system please call on of our helpful sales representatives on 01765 964 720. ISH is the world’s largest industrial exhibition for the combination of energy and water, incorporating The Bathroom Experience, Building Services, Energy, Air Conditioning Technology and Renewable Energies. This year will see over 2,400 exhibitors displaying just about everything from sustainable sanitation solutions, innovative bathroom design and energy efficient heating technologies. At the world’s biggest and leading trade fair, all aspects of future-oriented building solutions can be seen over a period of five days. This trade fair organisation made its debut over fifty years ago, and this year, international trade visitors from the installation trade, retail trade, firms of engineers and architects, housing and property companies, service providers, public authorities and universities meet at Messe Frankfurt’s fully-booked up Exhibition Centre. This is what can we expect at the exhibition this year, the theme of which is “comfort meets technology”. We shall see that the ISH Top Themes focus on current issues and trends, including conservation of resources and of renewable energies and how innovative technologies will focus on an individual’s convenience of use among other things, a bathroom tour of five continents which will tell us something about the efficient use of water, a vital commodity. Energy is also a covered in the Energy Efficiency Plus exhibits and subjects such as the new energy model in tomorrow’s heating market, for the homes of the near future, with different technology trends, and sustainability. The Exhibition feature under Future Buildings has been designed to show energy intelligence, technology, comfort and energy efficiency as well as integrated room automation. We are expecting some interesting innovations to come out of this year’s ISH Event, at UK Bathrooms we will, as in previous years, bring these to you as appropriate at our online pages. What turns you off the most in the bathroom? We would be very interested to know is just what turns you off the most when you walk into a bathroom, your own or someone else’s? We raise the question because when reading in a trade magazine recently, the Swedish furniture giant Ikea conducted a survey amongst 2,000 adults to see what it is that annoyed them when visiting the bathroom. The biggest turn off for both men and women it seems is hair in the plughole, this was a big turn off for men as 20% said that pulling their partners hair out of the plug hole was a major bugbear. Their partners on the other hand were really put out by men not flushing the toilet, so it is not leaving the seat up then is it! How happy would you be to show people around your bathroom was another question that was asked. It seems that the happy folk in the South West of our country would be very pleased to let people into their bathrooms; a massive 94% said they would be quite happy. This is in complete contrast to 12% of the Welsh who would really like to ban any visitors’ from using their facilities and we presume that means guests in their houses. So this has set us off thinking here at UK Bathrooms, we would love to hear from all our readers what turns you off when you visit a bathroom, your own or someone else’s, tell us we’re dying to know. In our twenty or so years designing and supplying bathrooms we have heard many strange tales, some of which we have shared with you, occasionally with pictures, but the latest piece of news was quite a surprise! We have occasionally read about humans abandoning their newly born children, but very rarely animals. So it was sad to hear that a beautiful and very rare one day old clouded leopard pup was abandoned by her mother at Cotswold Wildlife Park, found by the keeper shivering and clearly close to death. The keeper took the pup home and decided that the best place to keep the leopard was in his bathroom, away from his doge downstairs. Apparently it was necessary to keep the pup warm and his bathroom was just such a place, could it be that he had a nice underfloor floor heating mat installed? Well the leopard pup, named Nimbus was kept by the keeper for six weeks and we are delighted to hear that she has her own area in the park, when in time she will join another clouded leopard. The species hails from South East Asia and are on the vulnerable” of the International Union for Conservation of Nature; a happy ending for one clouded leopard.